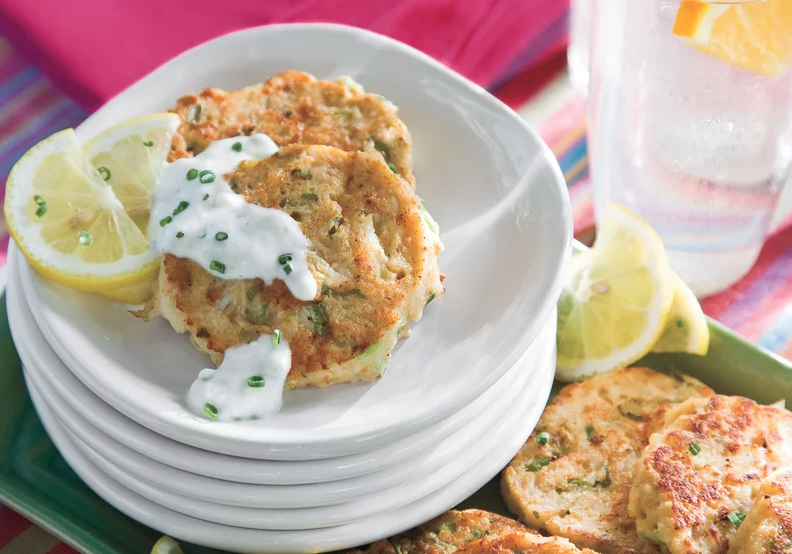 As an appetizer or main dish, dressed up or dressed down, crab cakes are a versatile part of Southern food. Start with a base of crabmeat and a binder and find your favorite way to serve them. 1. Stir together first 5 ingredients; fold in crabmeat and saltines. Let stand 3 minutes. Shape mixture into 8 patties. Place on a wax paper-lined baking sheet; cover and chill 1 hour. 2. Fry crab cakes, in batches, in hot oil in a large skillet over medium-high heat 3 to 4 minutes on each side or until golden. drain on paper towels. Serve with tartar sauce, if desired.